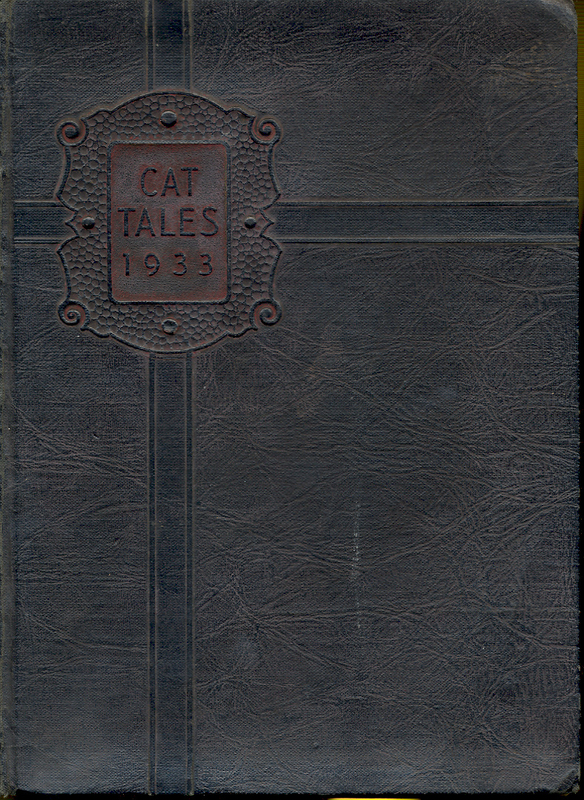 Description: This 1933 copy of Wild Cat, New Hanover High School’s yearbook, was owned by Eugenia Carr Southerland. Southerland graduated from New Hanover High in 1933. The yearbook has her name in the front, and is signed by fellow students and teachers in the pages. At the time of her graduation, Southerland was a member of the National Honor Society, and President of the school’s NHS club, she was a member of the school’s French, Latin, and O. Henry Literary Clubs and on the student council. The yearbook was printed by Wilmington Stamp & Printing Co., and the last 8 pages are advertisements. History: In 1991, Eugenia Southerland Jones (1916 -2008) donated more than forty artifacts to the Museum that represent various rites of passage in her and her family members’ lives. The collection includes report cards, her wedding dress, material relating to her son’s schooling, and copies of the Rebel Yell, the Cape Fear Academy’s yearbook from the early 1970s when Mrs. Jones taught there, and a number of pictures of reunions of the NHHS class of 1933. Eugenia Carr Southerland was born in Virginia in 1916, but lived in Wilmington for many years. She attended Isaac Bear School and New Hanover High School. Southerland married Leon Franklyn Jones (1912-1979) in 1942. The couple had one son. When Eugenia Southerland graduated in 1933, New Hanover High School was the only white public high school in Wilmington. Construction began on the building in 1919 and the first classes were held in 1922.